Our research group focuses on understanding nonequilibrium phenomena in the natural world, with particular emphasis on biological physics. We strive for a holistic approach in which theory and experiment seamlessly coexist, in the best tradition of DAMTP. Members of the group include theoretical and experimental physicists, chemists, applied mathematicians and biologists, and we collaborate broadly with scientists from other departments in Cambridge and beyond. Undergraduates are welcome to join us, especially for summer projects. Tigra Fader Sample #1 - Simple Slide Show Here is a collection of images from our recent research. Much of our current research is involved with physical aspects of multicellularity. We are engaged in studies of collective dynamics, mixing, and transport in concentrated bacterial and algal suspensions, striving to understand the more general problem of interacting, self-propelled organisms. 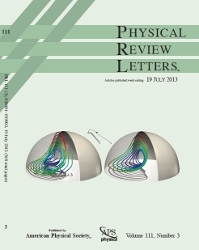 These issues touch on aspects of nonequilibrium statistical mechanics and fluid dynamics, but also have implications for specific biological phenomena such as quorum sensing. Of interest also is the role of flagella-driven flows in the evolutionary transition from unicellular to multicellular organisms (using the Volvocine green algae as a model lineage). Experimental methods include optical trapping, high-speed imaging, fluorescence microscopy, microfluidics, and particle imaging velocimetry. We use a variety of model organisms to study these processes (the bacterium B. subtilis, and algae such as Chlamydomonas and Volvox). Theoretical tools used vary from nonlinear PDEs, as in fluid mechanics and elasticity, to statistical physics and dynamical systems methods. 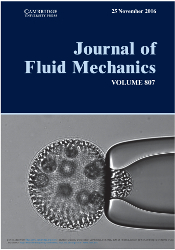 A second main thrust centres around understanding the dynamics of cytoplasmic streaming, the persistent circulation of the fluid contents of large eukaryotic cells driven by the collective dynamics of motor proteins. Discovered by Bonaventura Corti in 1774, streaming has been studied intensely for over two centuries, but many fundamental questions have remained unanswered with regard to how the fluid motion impacts on cellular metabolism, homeostasis, and mixing. Using the model organisms Chara corallina and Drosophila melanogaster we are engaged in a comprehensive experimental study of fluid dynamical and transport issues associated with streaming, using techniques from microfluidics, electrophysiology, fluid dynamics and molecular biology. At the same time, we have been developing a theoretical understanding of the unusual transport phenomena that take place in these high Peclet number flows, with their often intriguing geometry. Some of these transport issues have implications for microfluidic applications. (Image at left is copyright 2013 National Academy of Sciences U.S.A.). A relatively new line of investigation focuses on developmental problems in cell biology associated with the folding of cell sheets. Here again we use the Volvocine green algae, and study the process of 'embryonic inversion' during which the spherical daughter colonies literally turn themselves inside out to complete their development. This phenomenon has strong parallels with gastrulation, the process of early embryonic development in animals in which an initially spherical mass of cells develops an invagination that leads to the formation of the gastric system, and eventually to a topological change from a sphere to a torus. Unlike gastrulation, algal inversion is driven solely by cell shape changes, and is thus a useful starting point to understand cell sheet folding. Using light sheet microscopy and sophisticated image analysis, along with a mathematical theory based on thin shell elasticity with intrinsic curvature we are beginning to develop a quantitative understanding of this fascinating process. 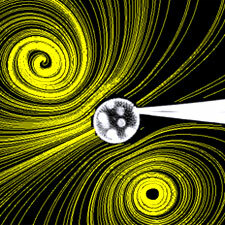 Research in our group is closely related to that of several other groups within DAMTP, including the Institute for Theoretical Geophysics , with whom we collaborate on problems of natural pattern formation involved in solidification, and other fluid dynamicists within DAMTP and the G.K. Batchelor Fluid Dynamics Laboratory, interested in instabilities. 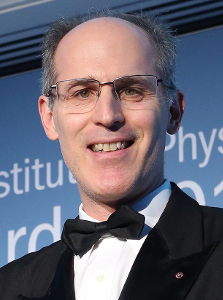 We work closely with Professor T.J. Pedley in the Biological Fluid Dynamics Group on problems of microorganism dynamics and pattern formation, and have growing ties with the Biological and Soft Systems and Medical Physics efforts in the Cavendish laboratory. Finally, we collaborate with groups in biology, including Plant Sciences, Zoology, and Genetics.